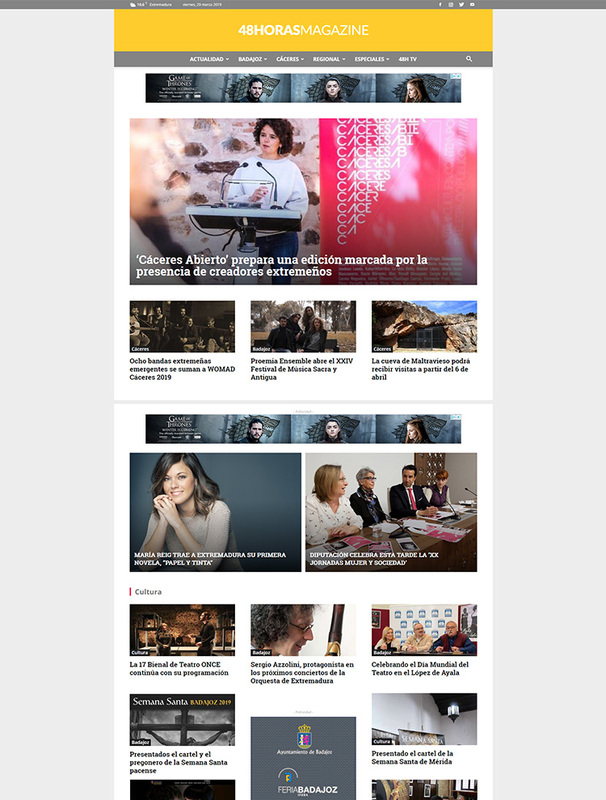 This Spanish site keeps the Badajoz people focused on news about culture and entertainment activities to enjoy their time. Nomad Biba is a great travel and lifestyle website, showcasing street art images and enthusiastic stories. 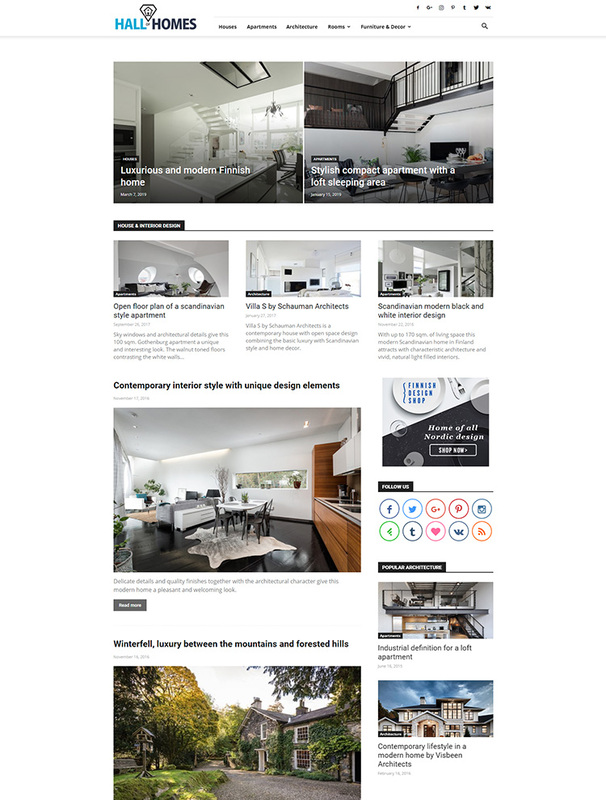 Hall of Homes is a modern blog magazine that publishes news related to interior design and home architecture. 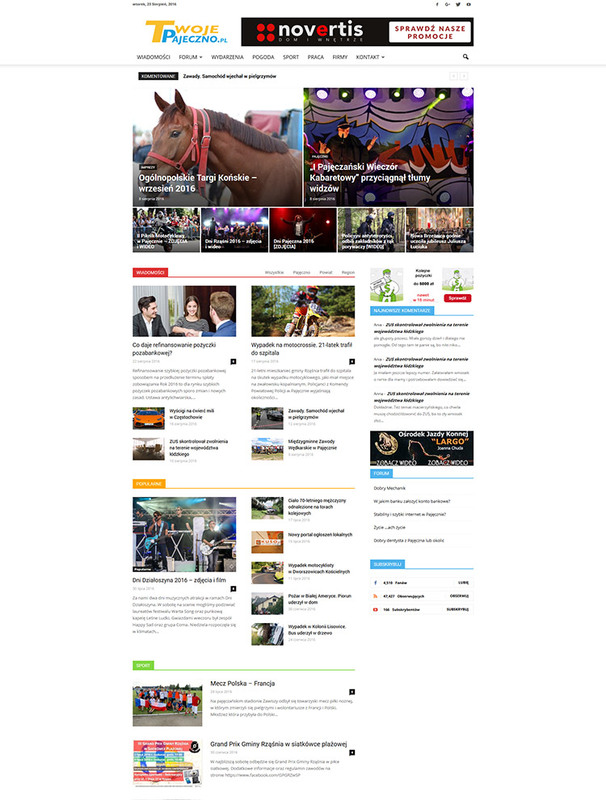 "Usage of the Newspaper Theme allowed us to make the design of our project bright, navigation through various categories easy to understand and use. As a result - we've created a successful site for artistic people!" 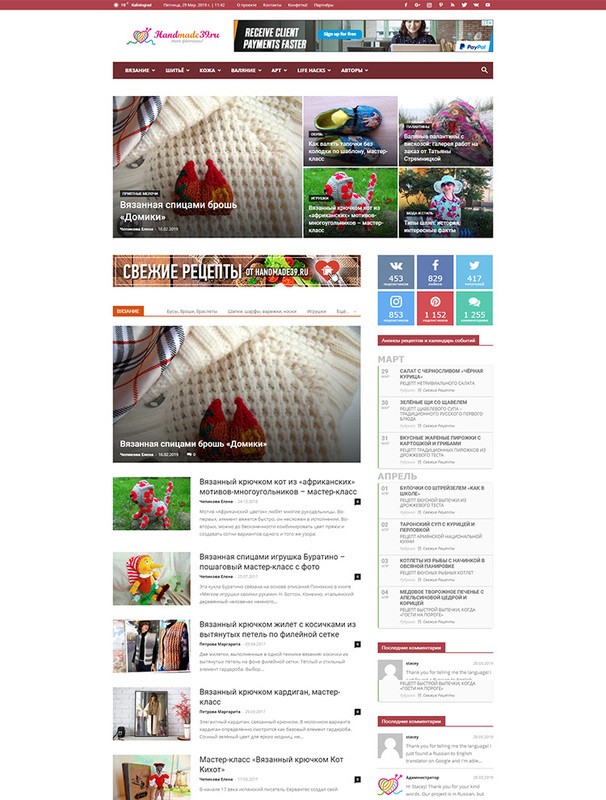 This Russian magazine is dedicated to inspire the others' creativity with stories about Needlework, DIY, Handcrafts, Recipes, Lifehacks, all detailed in beautiful words & images. This Australian magazine provides information about the benefits of the coconut oil on people’s health and lifestyle. Twoje Pajeczno is a Poland news magazine, providing local information about weather, sports, available jobs and community events. 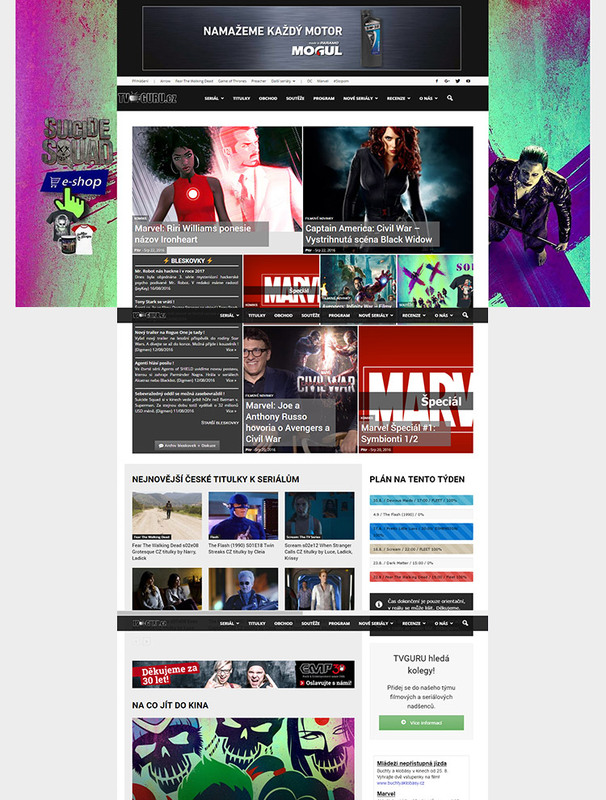 Created by a Czech community of cinephiles, TVGURU.cz is publishing news, articles and reviews about movies, games & TV series. 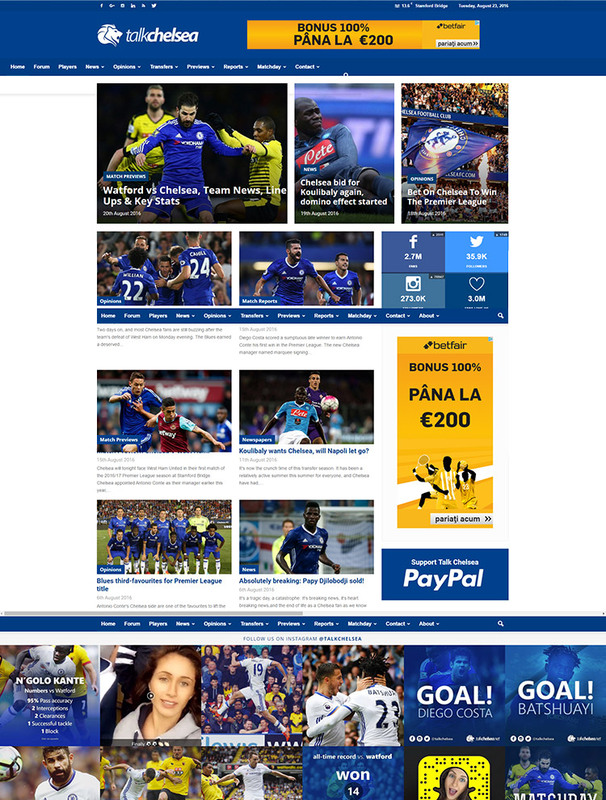 Talk Chelsea is an entertainment and informative website that provides news about the Chelsea football team. 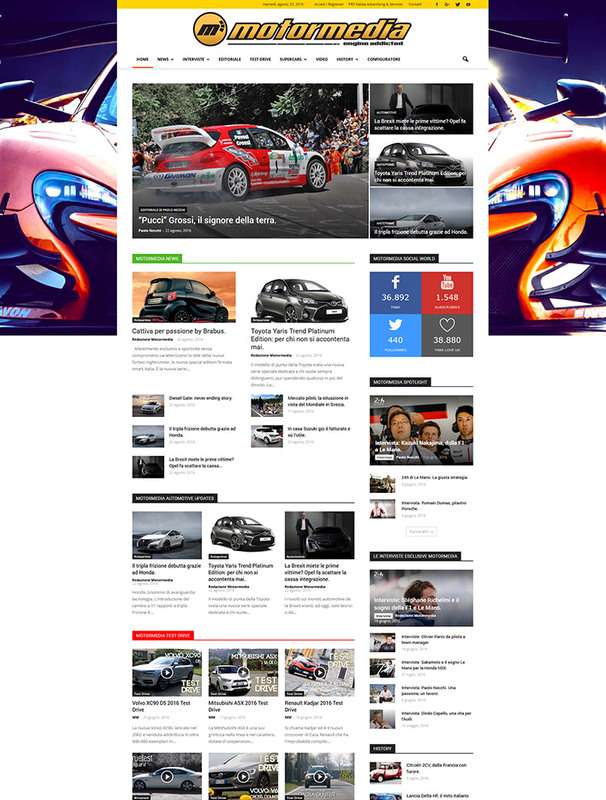 Motormedia is a beautiful Italian online magazine that provides automotive and motorsport news, product releases, test drive videos and interviews. "Our experience has been unbelievable. 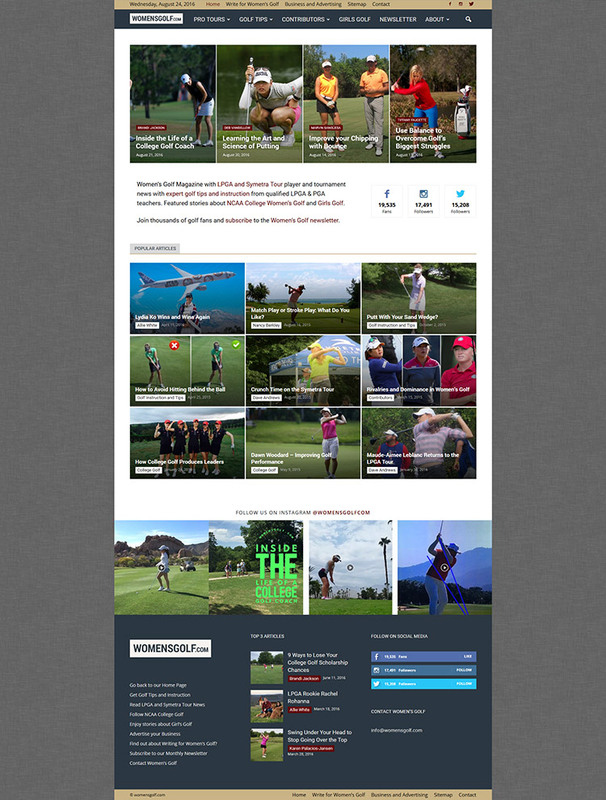 Women's Golf is booming and we've found the perfect foundation to build on with Newspaper." Based on expert golf instructions and news about tours, the Women's Golf magazine gives readers the opportunity to read interesting sport articles. "Very flexible and every time I want to do something, the theme has an answer for it. It's a dream to use and also flexible enough to build on top of too - yay!" Badger GP brings news from Formula 1. 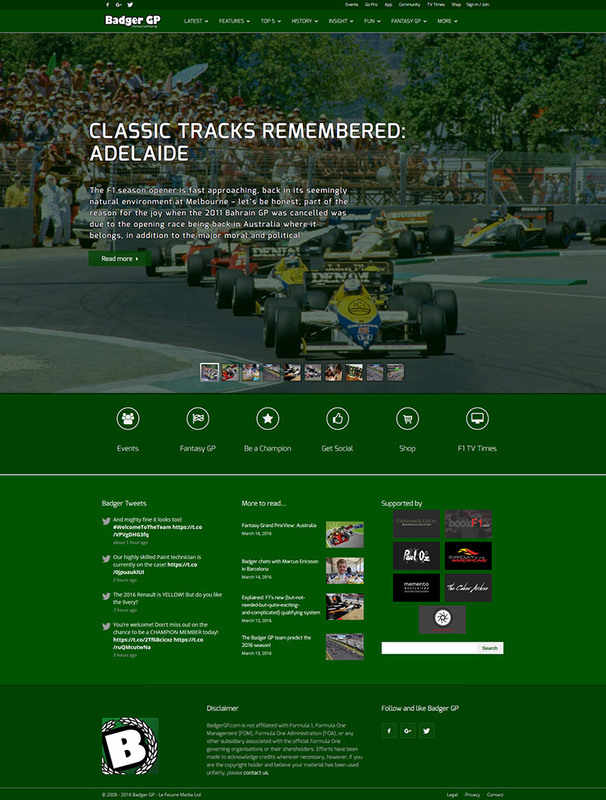 Everything about speed, driving and racing competitions. "Relatively easy to work with as a non coder. 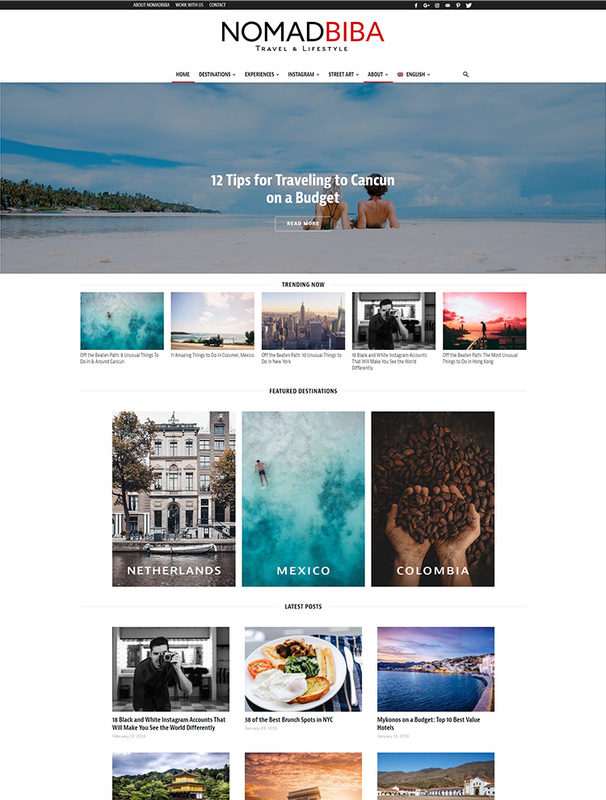 Fun to experiment and really the best theme support I have ever had which will keep me coming back!" 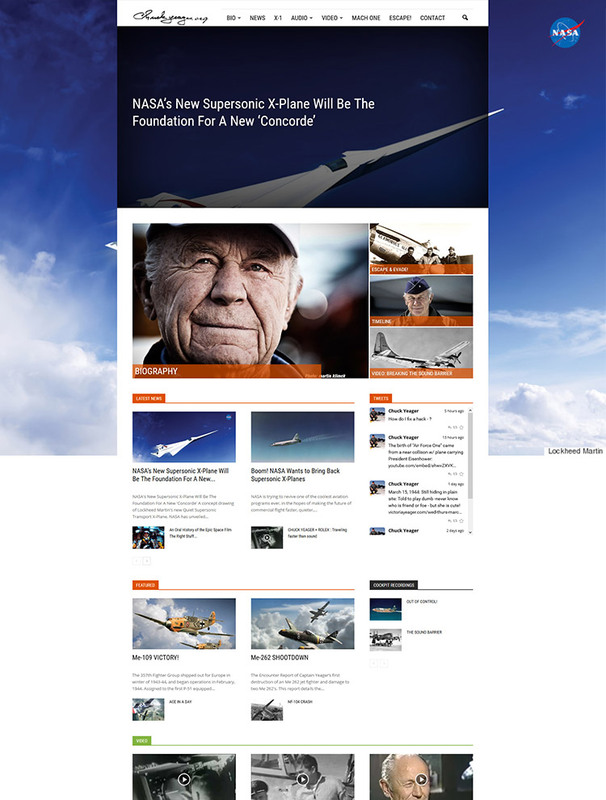 Chuckyeager.org is a website dedicated to the record setter and famous test pilot, Major General Charles Elwood Yeager.